At last! 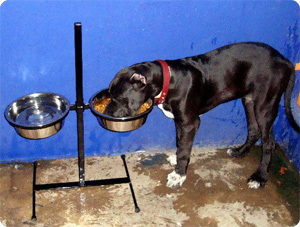 A high quality, adjustable, sanitary elevated feeding tower sturdy & tall enough for large breeds. 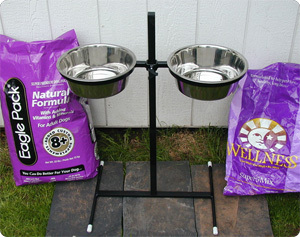 This is the one and only feeder you will need to purchase for the life of your dog, from puppy through adult hood. Can be customized per request for dogs with Megaesophagus and other medical conditions. 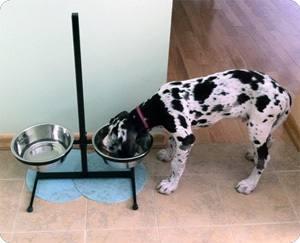 Our elevated feeding tower received rave reviews and is unlike anything you've seen. 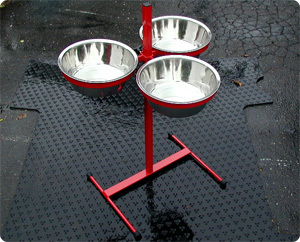 jZ canine elevated feeding tower is powder coated and guaranteed to last a lifetime. 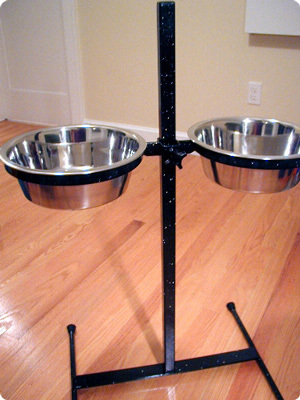 Fully welded heavy gauge steel and adjustable from the floor up to grow with your dog. Compact design is sanitary and easy to clean with low profile wide base. 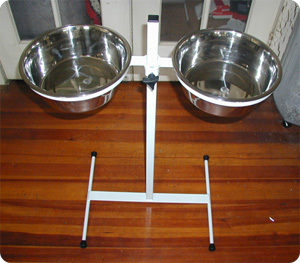 A tall and sturdy adjustable feeder available with 3-quart or 5-quart bowls, double or triple configuration. 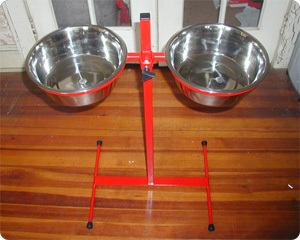 Can be fitted with tilted bowls for special need dogs, no spill bowls and slow feed bowls by request. Will NOT harbor bacteria and mold like wooden feeding platforms with cut-out holes! Built with heavy gauge steel and custom welded by experienced New England fabricators. 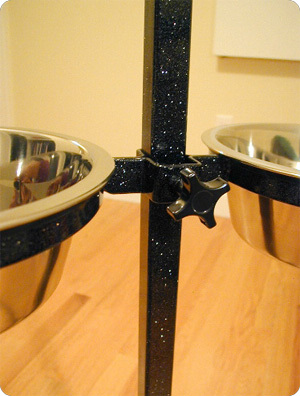 Professionally shot blasted, powder coated and baked leaving each feeder with a durable deep shine finish. Fitted with only high quality hardware, packaged and shipped with care from Mattapoisett, MA USA. Far surpasses any cheaply made imported feeder. 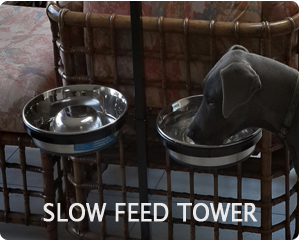 Feedback has been critical to the development of our elevated feeding tower. From initial design our feeder has been improved upon based on customer feedback and we've out done ourself with this product. You may read feeder reviews following the link provided above. 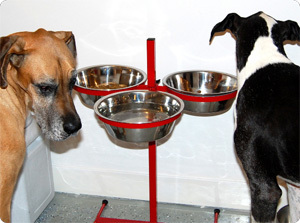 By purchasing this adjustable tower you are making a one time investment in the best made, most versatile well constructed feeder available that will last the life of your dog. Being honest, it will last the life of future dogs to come as well. With over 1,000 feeders shipped over the years to clients from all corners of the globe, we've got it right. There is nothing on this feeder that can wear out. With normal use and common sense care the feeder will last a lifetime. Powder coated finish will not rust, scratch or chip with normal use.